Hi! If I’m halving the recipient (1.5lbs chicken) do I also halve the cook time or keep it the same? Thanks! Soooo good! 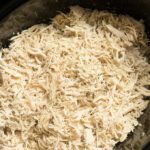 I HATE shredding chicken so I was dreading that part but this recipe made it so easy! The chicken was falling apart as I was transferring it to the bowl so the job was halfway done! Added buffalo sauce and ranch for a buffalo chicken wrap!!!! Will become a regular in this household! I would like to use white and dark meat. 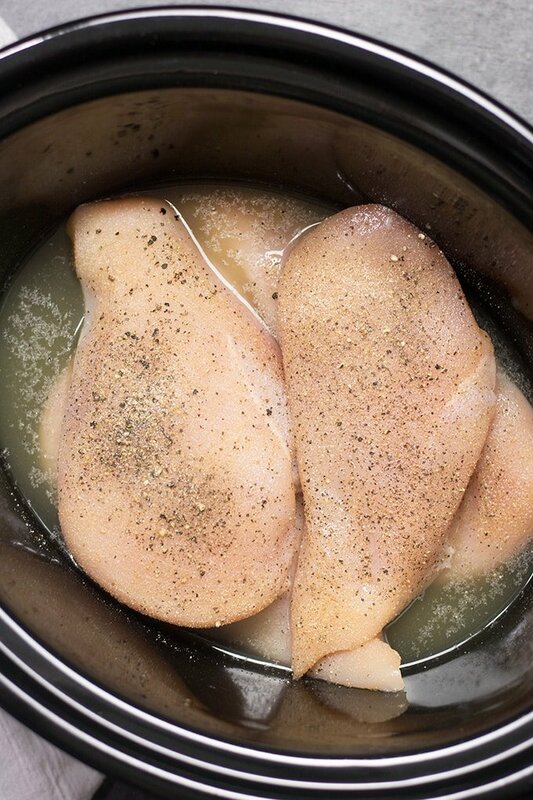 If I put thawed thighs and breasts in the crockpot, will they cook at the same rate? Looked EVERYWHERE for an easy recipe to fit my routine. I’ll spare you the 89 site names and just say THANK YOU!! This was perfect!! How long to cook two chicken breasts,about two pounds??? I’d probably just do them on low for 3-4 hours! 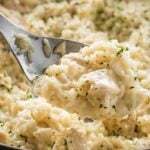 This recipe has straight-up changed my life! 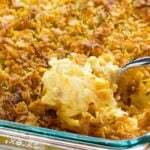 Thanks for sharing such a truly “all-purpose” recipe that gained me more time with my family. This is so great! Makes preparing lunches for the week so easy! Can put in a burrito, salad, sandwich, or literally anything! 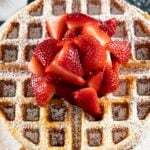 Thanks for posting this – look forward to trying more of your recipes. This worked out perfectly! My second batch is in the crockpot right now. The last time I made this, I made tacos, chicken vegetable soup and chicken salad. The one thing I did add was a little curry powder. Just a shake on each breast before I put them in the pot. I think it lends a good flavor to chicken. Great recipe! I put my cooked chicken breast in my kitchen aid mixer for easier shredding. Just make sure to stay close it only takes a few turns and it is good to go. oh my gosh, i need to do this! Amazing recipe. I did it with 6 chicken breasts and had it cooking all night. 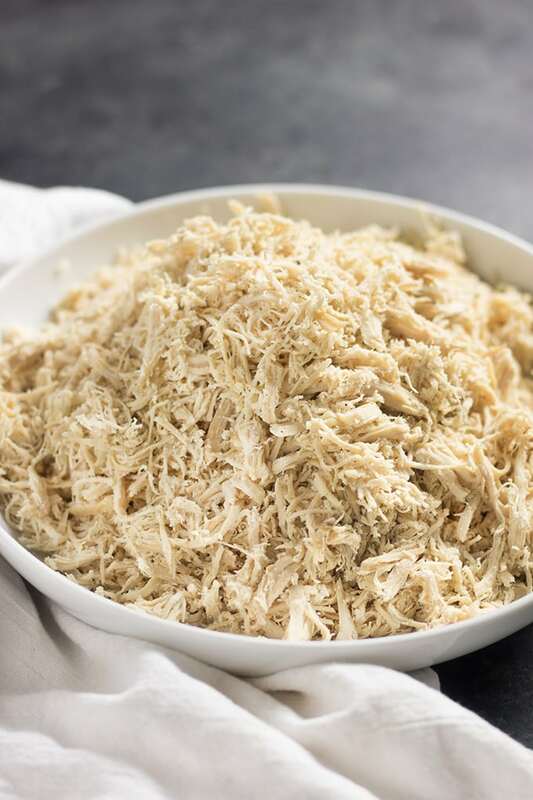 Next day I shredded the chicken and ended up with 14 cups of amazingly tasty chicken. My freezer is now stocked and I’m one happy woman. 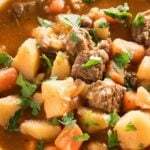 I have this in my crock pot right now. I’m going to combo it up later tonight with some stuffing and gravy and some veggies on the side. Whatever is left over will be used another night this week for some chicken and dumplings. Yuuummmy! This dish is amazing and simple! 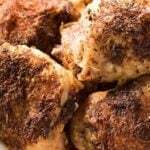 I’ve tried every recipe in sight to make tender chicken breast..my chicken still came out dry. This is it! The chicken was so tender that I had to use a big spoon to scoop out of crockpot. Thank you for sharing. This is a keeper! I just pulled 20 lbs of chicken for an Asian Barbecued Chicken Recipe for my mother’s 90th birthday celebration. Love that I could make it ahead and just warm it later with the sauce. Your recipe makes the chicken very tender and not dry at all. I did it on the stove in a large pot on very low because of the quantity. I will be sure to make this again. 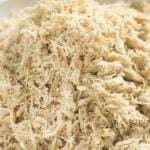 What is the best thaw and reheat process once you have froze the shredded chicken? If I am doubling the recipe, do I still cook it for 8 hours on low? 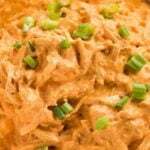 Great, easy, quick, & versatile recipe! I made some soft tacos with it. Just added cheese and salsa. Yum!!! 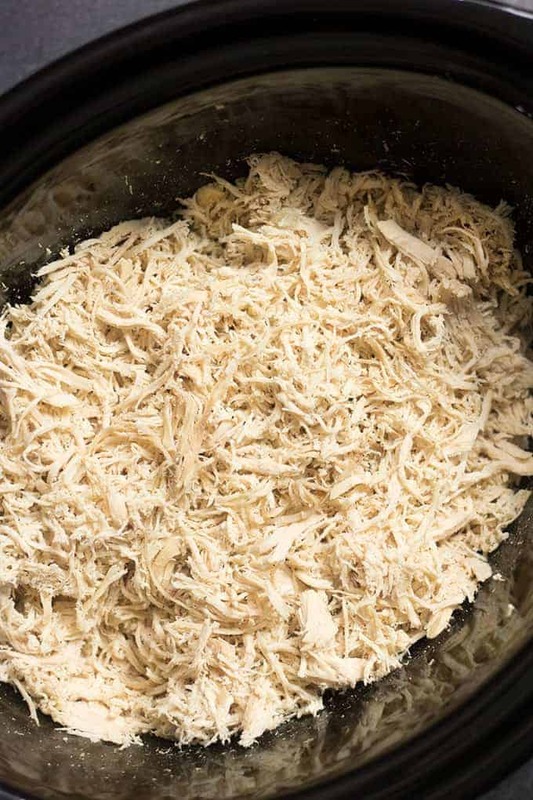 Hi do you shred in the crock pot with the juices/broth or do you get rid of that? Hi! I do remove the chicken and get rid of the broth in the crockpot. Excellent recipe. Thank you. I have enough for a 9×13″ casserole and enough to freeze for another one. My crock pot took only 2-1/2 hrs on high. I will definitely use this recipe again.